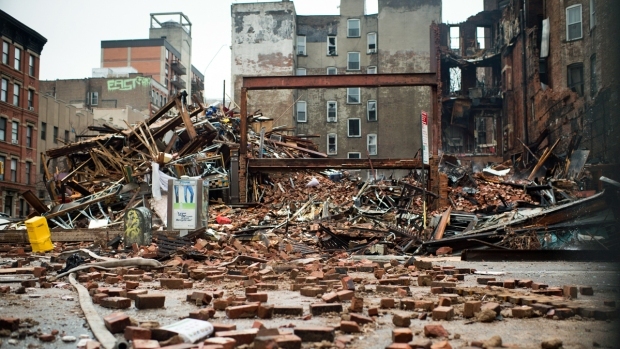 New York City residents reported dozens of cases of alleged gas tampering in the days following the East Village explosion that killed two men, brought down three buildings and heavily damaged a fourth. According to an I-Team analysis of 311 complaints in the six days following the March 26 blast, New Yorkers made 33 reports of illegal or defective gas hookups -- a 370 percent increase compared with the same time period last year. Chris Glorioso reports. According to an I-Team analysis of 311 complaints in the six days following the March 26 blast, New Yorkers made 33 reports of illegal or defective gas hookups -- a 370 percent increase compared with the same time period last year. The interactive map above shows NYC 311 complaints about gas tampering dating back to 2011. The larger icons represent complaints made in the six days after the East Village explosion. The map represents only complaints, not final determinations. In some cases, building inspectors responding to the complaints found improperly rigged gas piping. At 32 St. Marks Place, just around the corner from the explosion site, a city inspector issued violations two days after the blast after discovering that “new gas piping ran to [a] pizzeria from [the] gas meter without DOB permits." A Department of Buildings spokesman said the case was referred to Con Edison. When the I-Team visited the building, the St. Marks 2 Brothers Pizza was still operating a gas-fueled oven. Eli Halali, co-owner of the pizzeria, said his employees hadn't touched the gas pipe since Con Edison initiated service in 2008. "We are concerned and we're looking into it," Halali said. "We passed our plumbing inspection before Con Edison put gas into the building and since 2008 we haven't done any work." Con Edison did not immediately respond to requests for comment. City tax records show Great Neck landlord Hashem Dardashtian is the owner of 32 St. Marks Place. He did not immediately respond to requests for comment. Another Great Neck landlord, identified in city tax records as Sassan Mahfar, is also facing violations and complaints related to unauthorized gas hookups. 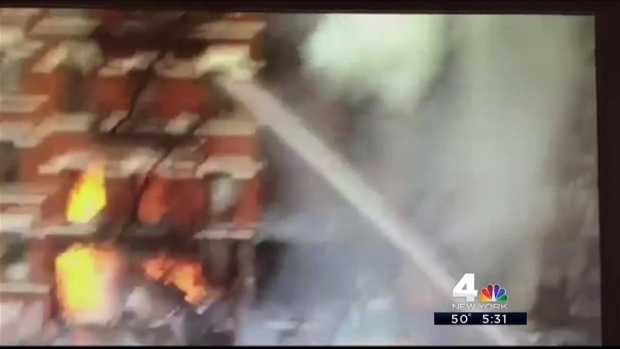 A day after the East Village building explosion, one of Mahfar’s tenants at 22 Spring Street reported "gas lines running to all apartments and I don’t see any gas meters." A manager of the Spring Street building who identified himself only as "Omer Z" sent the I-Team an email that said all plumbing and gas work in the building has been permitted by the Department of Buildings and "there has been no 'gas tapping' in the building during the current ownership." The email did not address the two gas-related violations. Last week, the I-Team reported source-based information that authorities believed the East Village explosion may have been caused by an attempt to hide illegal gas siphoning. On Wednesday, Con Edison confirmed tampering with the gas line was being eyed as a possible cause in the blast. The Manhattan district attorney's office has been working with the NYPD, arson authorities and other officials across various local and state agencies on the investigation as crews comb through thousands of cubic tons of debris in search of evidence. As of Tuesday, they had yet to reach the cellar of the building that exploded, where any potential tampering likely would have been done. According to the New York State Department of Criminal Justice Services, arrests for stealing gas and electric have been trending downward over the last few years. In 2010, 108 people were arrested in New York City for theft of services or criminal tampering involving utility companies. Last year, 58 people were arrested for those crimes -- an 86 percent decrease. Over the last five years, a total of 563 people were arrested for utility theft or tampering in all of New York state. During the same period, 170 people were convicted of those crimes.